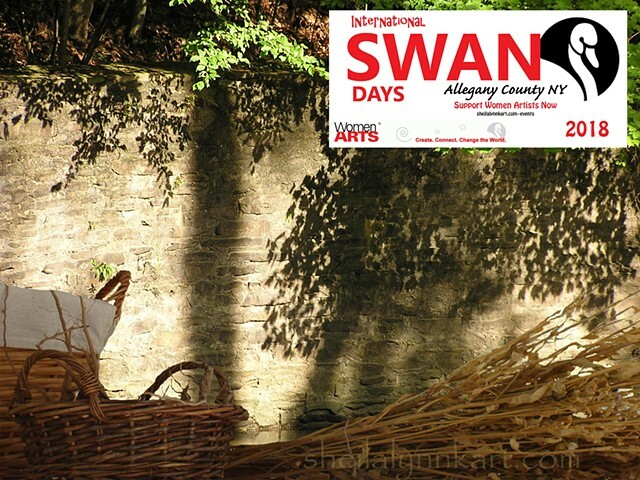 Launched in 2014, in partnership with the Belfast Organization for Artists to shine a light on our local Creative and Natural resources; SWAN Day Allegany County NY is held in honor of the many creative local people working hard to bring the arts to our rural community. Thank You so Much for All That You Do! "SWAN Day/Support Women Artists Now Day is an international holiday designed to showcase the power and diversity of women’s creativity. 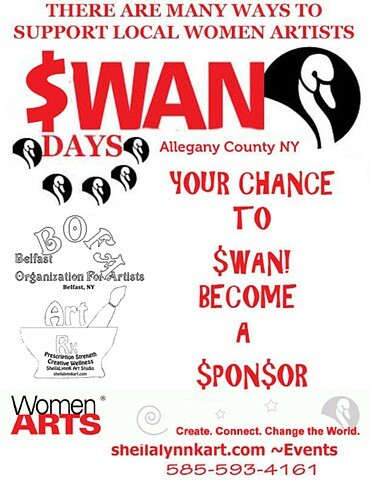 Be a part of SWAN Day by participating in our local event that celebrates women artists! 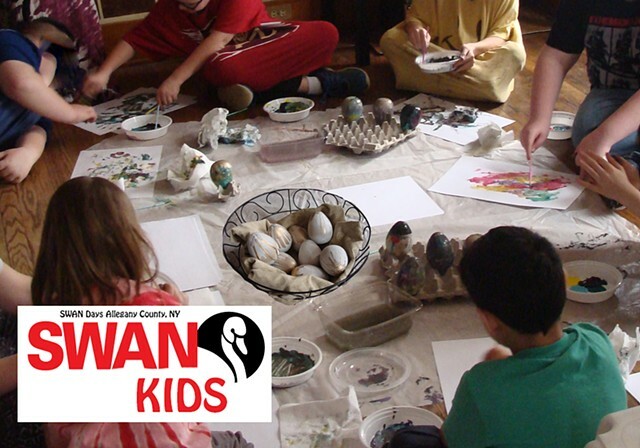 Participate in a SWAN Day Activity at the Studio or Plan one of your own. The official date for the Eleventh International SWAN Day is Saturday, March 31, 2018. The spirit of SWAN events is far more important than the exact dates. Jan 31st ~ Deadline to book FREE studio/gallery space for your creative presentation or workshop. 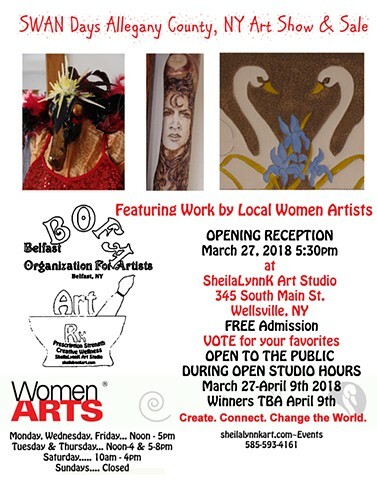 Rental FEES are waived for local women artists during SWAN Days Allegany County NY 2018 ~March 27th-April 9th Space is offered on a first-come-first-served basis. 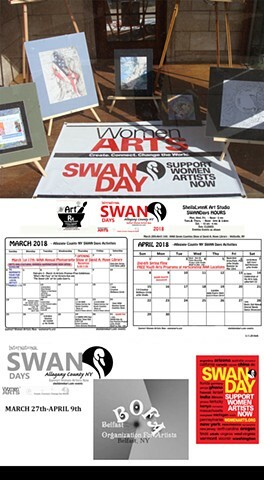 Feb 15th DEADLINE TO GET YOUR LOCAL CREATIVE EVENTS, PERFORMANCES, OR ACTIVITIES OCCURRING IN MARCH AND APRIL 2018 ADDED TO THE SWAN Days Allegany County NY Calendar of Events shared internationally at Womenarts.org. Feb 15 ~ Mar 15th Accepting Submissions for Creative Wellness Theme Basket Promoting Allegany County Resources and Local Business. Basket to be Auctioned/Raffled during 2018 SWAN Days Activities. 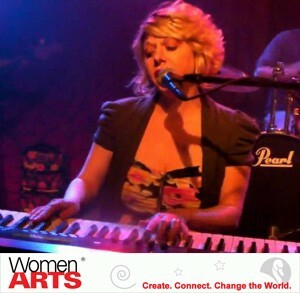 Proceeds Fund SWAN Day Awards and activities which support local women in the arts. SheilaLynnK Art Studio 345 South Main Street, Wellsville, NY. “BEST IN SHOW (Adult)” $100, “Best Artistic Composition” $40, “Most Unique” $40, “Best Presentation” $35, “Best TEEN Entry (14-17)” $25, “Best PreTEEN Entry (ages 10-13)” $25, “Best Youth Entry (ages 5-9)” $25. This is a FREE Exhibit open to the public during regular studio hours and special events.